Get Relief Fast From Achey, Painful Joints! Eases Joint Inflammation To Relieve Discomfort! Improves Joint Flexibility and Function! I have been using SynthaFlex Joint Cream almost daily for the last 2 weeks and I felt the difference right away. It really is the best I’ve used so far to relieve my joint pain. I’m almost 60 years old now, and I’ve battled pain in my joints for years now, tried countless products. SynthaFlex is fast and has lasting effects. You have a customer for life, THANKS!! SynthaFlex has given me my mobility back! I sometimes wake up with pain and swelling in my legs and have sometimes even found it hard to get out of bed on occasion. Days after I’ve exercised would sometimes be especially bad. After applying SynthaFlex the inflammation noticeably decreases within half an hour. The pain relief has been almost instant! Thank you so much! I am in my nineties and as you can imagine I’m not as mobile as I used to be. My joints are inflamed and my flexibility is almost non-existent. Moving around the house has been difficult and painful. My grandson suggested that I try SynthaFlex and brought a bottle over and helped apply it. I quickly started noticing relief to the pain and moving around the house has been easier. My grandson has ordered more for me and I will be using this everyday. I recently started trying to lose weight and so have started going to the gym regularly. Unfortunately, I discovered that my joints are not what they used to be and I quickly started experiencing pain after starting my exercise program. I searched online for a remedy and came across your product, SynthaFlex, and decided to try it out. I’m being more careful at what I do at the gym and am applying SynthaFlex daily to my joints. They are no longer swollen and I’m not experiencing pain anymore! 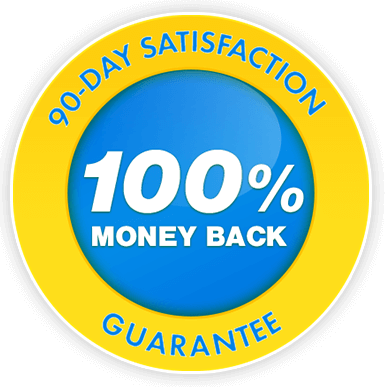 Your order is backed by our 90-day money back guarantee. If you’re not absolutely thrilled with the results, simply return your order for a full refund of the purchase price. The guarantee is good for one opened jar and all unused jars. Celadrin® reduces inflammation to relieve joint pain and increase joint mobility. It also helps restore synovial fluid that cushions bones and joints to promote flexibility without pain. As a topical cream, it’s designed to be rapidly absorbed by the dermis to provide fast and continuous relief. Celadrin’s® effectiveness is supported by numerous clinical studies. In a recent double-blind study conducted at the University of Connecticut, 100% of the subjects using Celadrin® showed significant joint improvement in less than 30 minutes. The benefits increased with consistent use. Subjects were assessed for pain levels, range of motion and muscular endurance. All the subjects had great showings in each of these areas. MSM helps reduce inflammation and increase joint function. MSM is 34 percent sulfur by weight. Sulfur plays a key role in forming connective tissue – cartilage, tendons, and ligaments. Hyaluronic Acid is found naturally in healthy joints. It gives synovial fluid its lubricating properties to keeps your joints healthy and flexible. Q. How Do I Use SynthaFlex? A. Rub the cream gently in a circular motion to affected joints and muscles. Use 2–3 times daily for best results. Q. Is SynthaFlex Safe to Use if I’m on Medication? A. Speak with your physician before use if you are taking any other prescription medication or have a pre-existing medical condition. Do not use SynthaFlex if you are taking prescription medication for high blood pressure or heart problems. Q. How Exactly Does SynthaFlex Work? A. SynthaFlex’s key ingredient decreases inflammation to ease pain and restores fluids that cushion bones and joints to promote flexibility and mobility. Q. How Long Does Each SynthaFlex Jar Last? A. It depends on how much you use and where. For example, if you apply the cream to both your knees 2–3 times a day, the jar should last 30 days. Each jar of SynthaFlex contains 4 ounces (120ml) of cream. Q. Does SynthaFlex Have Any Side Effects? A. There are not side effects with SynthaFlex. Order SynthaFlex Today & Save!